Wind and Hail can damage your roof. Amstill Roofing can help. 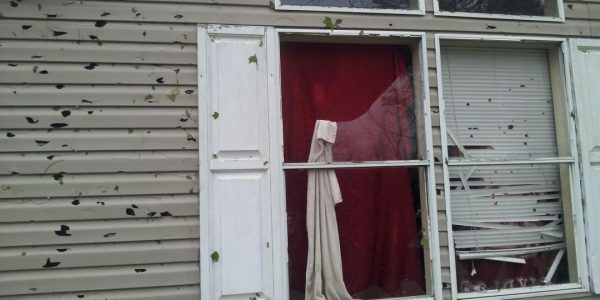 Was your home or property recently affected by wind or hail storms? Amstill Roofing provides emergency roofing services for storm damage, which include tarps, cover and repairs. Call us today for a FREE roof inspection! If you now have a leaking roof because of storm damage, it is extremely important to prevent interior home damages before matters become worse. At Amstill Roofing, we recognize the importance of protecting your home, which is why we offer emergency cover and tarp services. It is hard to judge the roof damage without actually seeing the roof, so don’t let “minor” inside damage keep you from receiving a free roof inspection from a professional roofing company in Houston. Even if you notice just one or two shingles missing, this can grow into total roof damage as time goes on. 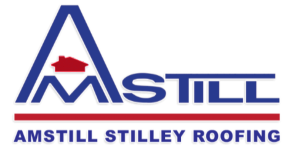 Amstill Roofing is experienced at inspecting homes for roofing storm damage and we are willing to show and share our knowledge during a roof inspection. Our experience also helps us to navigate the insurance process quickly and efficiently, getting you the best roof repairs available. If you can see damage to the siding or other damage to your home, then you probably have roof damage as well. 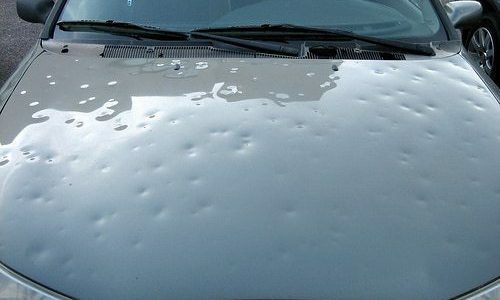 Hail storms powerful enough to damage cars will also damage your roof. If cars in your neighborhood were damaged by a storm, you should have your roof inspected for damage before leaks or other problems arise. Is your neighbor getting his roof repaired? A storm will likely cause just as much damage to your roof as it did to your neighbor's roof. We can get your roof repaired and protect your home from further damage with our one day repairs and replacements. 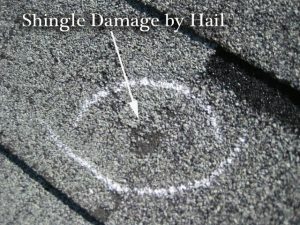 Missing granules – This happens when hail impacts your shingles. Depending on the duration and size of the storm, it can remove the granules of your shingles. The granules are the top layer of protection. Once they have been knocked off, your roof is susceptible to more damage. Bruising – This is caused by the hail impact. It takes individually testing each area to see how badly affected the shingles were. The damaged area will feel soft when you press on it. Circular cracking—Hail can leave odd tear drop looking circular shapes that smash and embed the granules on your shingle. This damages the fiberglass layer beneath the asphalt, thus making the shingle destroyed and in need of replacement. If you don’t think there is any hail damage to your roof because you don’t see it from the ground, think again. Obviously golf ball sized hail or larger could break through your roof or cause bruising, but there is usually other types of damage you may overlook if nothing comes crashing into your home. The shingle integrity can be damaged, causing a decrease in your roof’s longevity. If hail comes with high winds or lasts over a few minutes, small-sized hail can create severe damage to your roof shingle and degrade protective granules. Losing shingle granules will significantly reduce the lifespan of your roof and can expose the glass based center of the shingles to UV rays from the sun. Deterioration of your roof shingles can occur in a short period of time. Always have your roof inspected after a hail storm, just to be safe. What is the replacement cost value of my roof? Will my insurance adjuster be an in-home adjuster or a cat-adjuster? What is the full process of insurance claims and payments? What are my options if an adjuster didn’t or doesn’t provide enough money for quality roof repairs or a roof replacement? 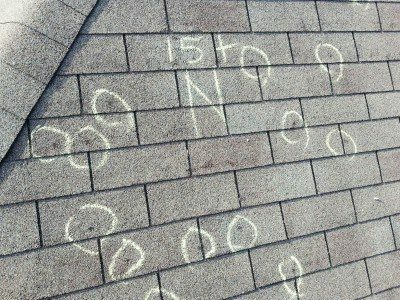 If any of these questions are difficult to understand or answer, seek professional help with your roof. After a hail storm, have a trained hail damage inspector look at your roof because hail can cause serious roof damage or degradation. This inspection should be done by someone who can verify the damage extent and outline how it should be repaired or replaced. Many roofing contractors and companies do not know proper roof inspection or insurance procedures for hail damage. A trained and certified roofing inspector has taken extensive training courses just like your adjuster was required to take for certification. Siding can be visually inspected by looking closely at exterior walls, preferably morning or evening for optimal sunlight conditions. Old aluminum siding shows denting and damage more than wood or vinyl, unless of course there are obvious holes in your vinyl siding. Most insurance companies subscribe to weather tracking and hail storm reporting services to monitor areas that may be affected and submitting claims. Because of this, hail size and locations may already be known with insurance companies and damages can be expected. If you recently had a hail storm in your neighborhood, call Amstill Roofing today! It’s best if our inspector can be present when the insurance adjuster visits your home for their inspection. It is your legal right to have a representative with you during the insurance claim inspection. No adjuster can enter your premises without your permission. Insist on scheduling an appointment that we can be present for. This is the best way to ensure you receive a full claim for all hail damages. We work hard to get what you deserve on your behalf. You have limited time to make damage claims after a storm! During normal business hours is when an adjuster will do their inspection, so you may be unavailable when the adjustment is taking place. We can represent you during the inspection if you let us. The adjuster inspects your roof and home exterior for any visible signs of damage. They measure out a “test square” (10′ x 10′) on different sections of your roof for damage. If a sufficient amount of bruising or breaks for each “test square” is found, the insurance company will fund your new roof replacement. It is possible that your roof wasn’t damaged even if your neighbors’ roofs were. However, you are entitled to ask for a re-inspection by another adjuster from the same insurance firm. If you’re not satisfied with the adjuster’s claim results, don’t settle. Ask for another inspection. Again, Amstill Roofing can help you with the entire claims process to get what you deserve for your home. Sometimes an adjuster will miss certain damaged items on your home, maybe it’s the roof, gutters/downspouts, siding, window screens, garage door panels, light fixtures, interior damage, or even your AC unit. We like to be present to help point out any damage that could have been associated with a heavy hail or wind storm. It’s important to know that you are allowed to have the contractor of your choice present. Although we cannot force a carrier to pay for something, we are there just the be the second set of eyes for your home’s damages. Every carrier has a different outline and requirement for hail damage. There is no guarantee that your claim will be paid for by insurance, but we will do our best to show all the damage we found from our initial inspection. After your claim has been approved, the insurance carrier will pay for the damages. You should receive your first check usually within 5-7 business days. This first check is called your ACV (Actual Cash Value), which is the monetary value of what is to be paid today based off the age and condition of the items. In some cases, if you are present during the inspection with the adjuster and the adjuster is an in-house adjuster, they will actually write you a check and hand you your paperwork on the spot. This check will be the value of the job less the value of the depreciation. Depreciation is based off of the age and condition of the damaged items. They take this money and hold it to make sure the work is completed correctly. In most cases the depreciation is recoverable. Recoverable depreciation is dependent upon the job being completed for the “Fair Market Price” the insurance company has estimated the job for or greater. MANY HOMEOWNERS NEVER GET THE DEPRECIATION BACK! THIS IS BECAUSE THEY CHOSE THE LOWEST BID OR WORKED WITH A CONTRACTOR WHO DIDN’T KNOW HOW THE INSURANCE PROCESS WORKS. CHOOSING THE LOWEST BID IS THE WORST IDEA EVER; INSURANCE HAS VALUED THE JOB, WHY WOULD YOU DO IT FOR LESS THAN THEY RECOMMEND? WHEN THIS HAPPENS, YOU HAVE TO PAY THE DIFFERENCE. YOU DON’T GET TO KEEP THE DIFFERENCE. THIS COULD POSSIBLY COST YOU THOUSANDS OF DOLLARS. We can do the full repair. We handle all the permits, scheduling and coordination. We make it easy for you. Q: IS THE EXCESS MONEY MINE? A: NO! YOU ARE NOT ALLOWED TO PROFIT FROM A CLAIM. INSURANCE FRAUD IS A CLASS 3 FELONY PUNISHABLE BY UP TO 10 YEARS IN PRISON AND FINES UP TO $5000.00! Q: DO I NEED TO GET TWO OR MORE ESTIMATES? A: NO! YOUR INSURANCE COMPANY HAS VALUED THE JOB; ANY LEGIT CONTRACTOR WILL DO IT FOR THE FAIR MARKET VALUE. DO NOT DO THE JOB FOR LESS, IT WILL ONLY RESULT IN YOU MISSING OUT ON THE REAL VALUE OF WHAT YOUR JOB IS WORTH. YOU ARE ONLY SAVING THE INSURANCE COMPANY MONEY AND COSTING YOURSELF QUALITY WHEN YOU GET SEVERAL ESTIMATES. THINK OF IT THIS WAY. IF YOU HAD A CAR ACCIDENT AND YOUR VEHICLE NEEDED TO BE REPAIRED, YOU WOULD GET YOUR VEHICLE BACK TO ITS ORIGINAL CONDITION FOR THE FULL VALUE IT WAS WORTH, NOT JUST GET HALF OF IT FIXED FOR A CHEAP PRICE. SAME THING APPLIES TO YOUR ROOF! Q: WILL MY INSURANCE COMPANY GIVE ME MORE MONEY IF I SPEND MORE THAN THEY HAVE GIVEN ME? A: POSSIBLY. YOUR INSURANCE COMPANY WILL ONLY PAY SUPPLEMENTS ON ITEMS THAT THE CONTRACTOR CAN PROVE THEY OVERLOOKED.